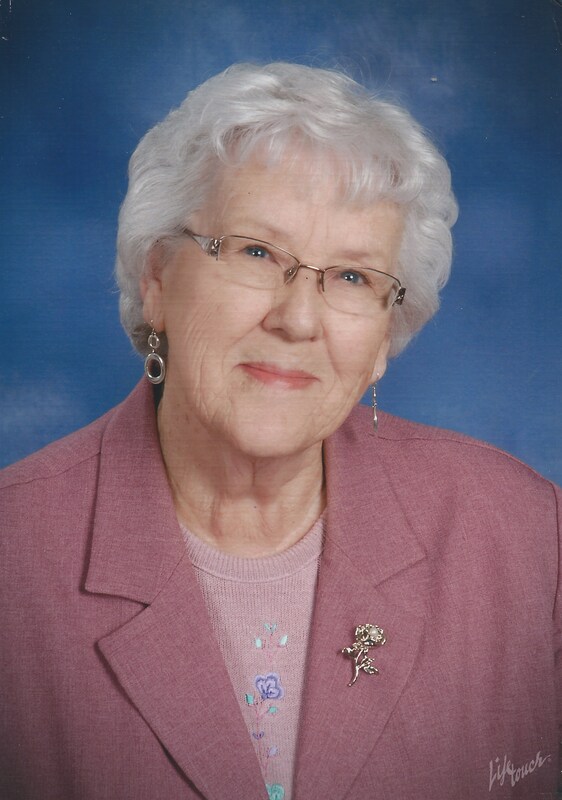 St. Joseph, MO……Phyllis Elaine Dungy, age 86, was born August 31, 1931 in Harrison County Missouri the fourth child of Clarence and Blanch (Richardson) McCoy and passed away January 23, 2018. In her early years she lived on a farm north of Blythedale, Missouri and later moved by Iowa state line. She then moved to Eagleville in 7th grade where she attended South Harrison High School in Bethany and enjoyed playing Volleyball. On May 29, 1948, Phyllis and Marlan “Junior” Davis were united in marriage. To this union 5 children were born. March 4, 1972, Phyllis and Elbert Calvin Dungy were united in marriage. To this union she was blessed with 4 step children. She worked on the farm, DeKalb County Record Herald, Sunset Nursing Home, and owned and operated Dungy’s Market with her husband Elbert for 26 years. Phyllis was an excellent cook and made the best cinnamon rolls. She was a member of First Christian Church of Maysville. She is preceded in death by her parents; first husband, Junior Davis in 1974, husband, Elbert Dungy; infant sister, Betty McCoy; step son, Ed Dungy; 2 sisters, Wilma Parker and Roberta Hale; brother, Dean McCoy. Survivors include 5 children, Dennis Davis, St. Joseph, Dianne Utterback, Gladstone, Paul Davis (Debbie), Renton, WA, Barry (Charity) Davis, Leawood, KS, and Marsha Davis, Richmond, MO; 3 step children, Bob Dungy (Debbie), Maysville, Don Dungy (Kathy), Irving, TX, Mary Schneider, St. Joseph; 19 grandchildren; 33 great grandchildren; and 8 great-great-grandchildren. Sorry for your loss. I grew up with the Davis and Dungy children. Phyllis was a good friend and parent for those of us from the 60’s. Please accept our condolences. Remember as a part of First Christian Church family and at the store. My condolences to the Davis and Dungy families on the passing of Phyllis. Knew most of the family from school and church activities. Also remember shopping at the market. My deepest sympathy to the Davis & Dungy family. Many wonderful memories of Phyllis from years ago. My thoughts & prayers are with you!